The Government of the Republic of South Africa, represented by the Ministry of Police, has chosen Unisa to lead the charge in the mooted establishment of a police university, thus breaking new ground in the national plan to professionalise the police service. The announcement was made during the historic signing of a memorandum of understanding (MoU) between Unisa and the South African Police Services (SAPS) held at the SAPS Academy in Paarl on 22 October 2013. The MoU was signed by Unisa Principal and Vice-Chancellor Professor Mandla Makhanya and the National Commissioner of Police, General Victoria “Riah” Phiyega. The Minister of Police, the Honourable Nathi Mthethwa, also attended the event and spoke on behalf of Government. In recognition of the urgent need to re-skill and professionalise the police service, the new initiative, which will evolve from the SAPS Academy in Paarl, will, in January 2014, have the first intake of 120 students who will study towards a Bachelor of Arts in Police Science. It is envisaged that Unisa and SAPS will also begin discussions aimed at introducing more programmes at honours and master’s levels, together with short learning programmes. In terms of the partnership agreement, Unisa is responsible for all the academic aspects, including entry requirements, course material, tuition, instruction, and academic support. It will also appoint and provide the academic head of the programme and assist SAPS with the required accreditation application process. Speaking at the signing ceremony, the Vice-Chancellor emphasised Unisa’s commitment to the partnership, which he said was borne of the recognition that the demands of 21st-century policing require higher skills and training for the police in order to empower them to deal with a new kind of environment, where criminals are getting more skilled, more educated and more vicious. He also acknowledged that the programmes to be offered had to encompass both formal and practical learning in order to address the skills challenges and training needs of police officers sufficiently. “I will be the first to agree that formal education alone will not serve the best purpose for a career police officer. That is why I believe we need to come together to develop a model that is a hybrid characterisation of the empirical ontological and epistemological knowledge-based learning and the practical training that is key to the success of vocational training,” he said. The choice of Unisa as the ideal partner to help government realise the objective of a dedicated police university was highlighted in Minister Mthethwa’s speech, citing the university’s experience and leadership in the birth of other institutions of higher learning in South Africa, including the universities of Cape Town, Potchefstroom, Witwatersrand, and Rhodes, amongst others. Recognition was also given to Unisa’s proven record in the training and development of public servants, including members of the police services, correctional services, and teachers, amongst others. “In Unisa, we could not have asked for a more iconic partner. In enhancing the skills capacity of our police officers, we took a conscious decision to involve the very best of the best. 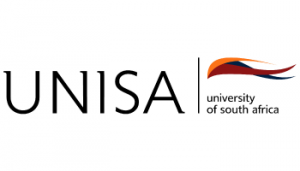 Unisa is considered to be a public university that meets all the requirements that will ensure that the SAPS Academy: Paarl is transformed into a Police University”, said the Minister. In terms of the agreement, the Unisa/SAPS partnership has a lifespan of seven years, renewable by agreement between the two parties.